Alpha Kappa Alpha, founded in 1908 at Howard University in Washington, DC, was America’s first Greek-letter organization established by African American college women. Its motto is “By culture and by merit.” The sorority colors are salmon pink and apple green and its flower is the tea rose. 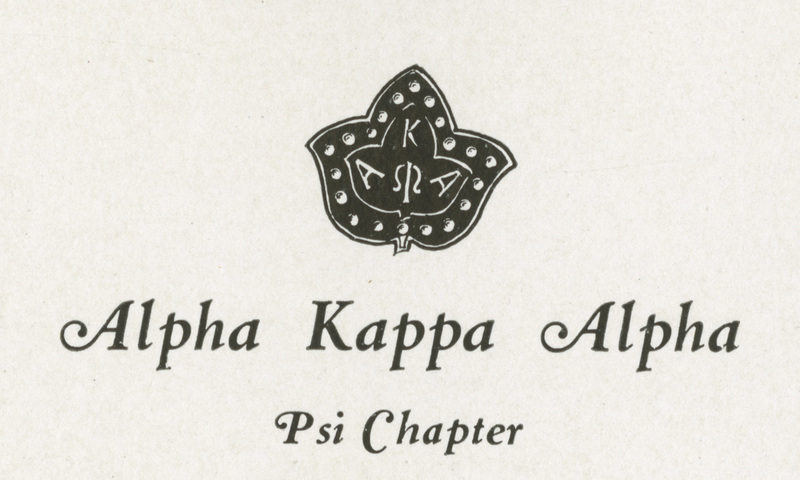 The Psi chapter of the Alpha Kappa Alpha was chartered at Penn in 1925. 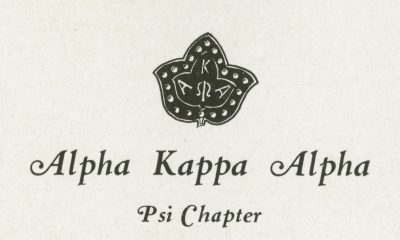 It later merged with Temple University’s Mu chapter in 1945 to form the city-wide Gamma Epsilon chapter of Alpha Kappa Alpha. Today the city-wide Gamma Epsilon chapter also includes Drexel University, La Salle University, Philadelphia University, and Saint Joseph’s University.